Home > Latest Thinking > Immigration > Immigration case law after Brexit: what’s affected? Whilst the UK remains within the European Union for now, any judgements decided within the European Courts of Justice (ECJ) have precedence over UK national laws. Therefore, this means that any immigration related case law decisions can automatically impact upon the UK immigration process. Examples of the ECJ overruling UK immigration law begun in 1992 with the notorious ‘Surinder Singh’ case [R v. Immigration Appeal Tribunal and Surinder Singh ex parte secretary of state for the Home Department], in which has led to many EU citizens having right’s that they normally would not have. 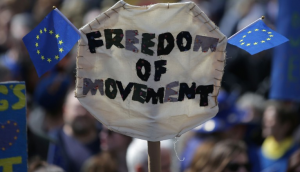 Within the case, the ECJ overruled the UK’s “primary purpose rule” for proving the status of a relationship with a UK Citizen, with the ECJ “right to freedom of movement” law. From this, the ‘Surinder Singh Route’ remains a valid immigration option for immigrating spouse and partners to this day in the UK. However, after Brexit, the ‘Surinder Singh Route’ may become affected, in which the UK, being outside of the ECJ, may return to the more stricter immigration law of “primary purpose rule”, which will affect many EU citizens who are currently within a relationship and residing with UK citizens. Other case laws that may become affected post Brexit are the “Metock” case [Metock v. Minister for Justice, Equality and Law reform (2008)] in which after Brexit, if an ‘over-stayer’ remains, then regardless of that individual’s relationship, the UK will view this person as an illegal immigrant. This is a significant change from the ‘Metock’ decision, in which an unlawfully residing Non-EU national within the UK could remain if they entered into an ‘authentic’ relationship with a residing EU national in the UK. Furthermore, the “Zambrano” decision [Gerado Ruiz Zambrano v. Office National de l’emploi (ONEm) C-34/0 (2011)] will also be affected post Brexit, in which is based upon a Non-EEA parent of a child of EU citizenship status having the “right to work” and the “right to care” under the ECJ, also known as the “Zambrano Principle”. Thus, post Brexit, due to the UK Government desiring to tighten the definitions of “family reunification” and “family member” within its immigration rules, these three key cases decided by the ECJ will be affected, in which could cause turmoil for current EU citizens residing within the UK.